We are proud of our history, and the committment that our staff have had for our organization for over 20 years in the crude oil gathering business. From the Founder and President to the driver that hauls for our producers, our staff cares about our customers. 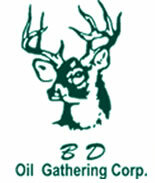 Our office staff bring diversity to our decades of experience that sets BD Oil apart.